We pack for a week’s worth of clothing regardless of how long we’re in Ireland for. So this usually requires doing a wee bit of laundry in Ireland. 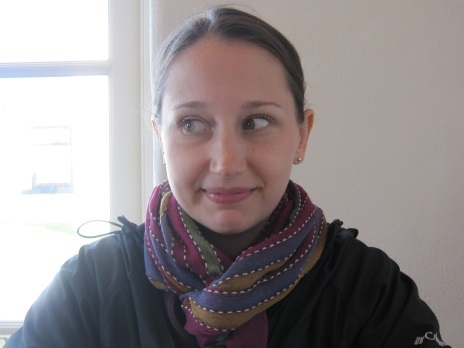 Nobody wants to be around a stinky Stephanie (did I say Stephanie? Of course I mean stinky Joe–I always smell like a flower). Doesn’t she look like she always smells nice? Where we stay often determines how that laundry gets done. The easiest of course is renting a self-catering apartment or cottage with a washer and dryer so you can do your laundry at your convenience. You used to have to rent a place like this by the week, but with the rise of Airbnb you can easily find a one with laundry facilities just for a night or two. We once rented a little flat in Ramelton, County Donegal with a washer and dryer. I thought we would wash all of our clothes and toss them in the dryer before we went to bed anticipating they would be dry in the morning. The washer wasn’t big enough to fit all our clothes in one load. Then the dryer took forever. I would have just left the clothes for another day, but we were leaving the next morning. Joe, the wonderful husband that he is, stayed up late, switched the clothes and ran a couple extra dry cycles (he also ate all our snacks while waiting). 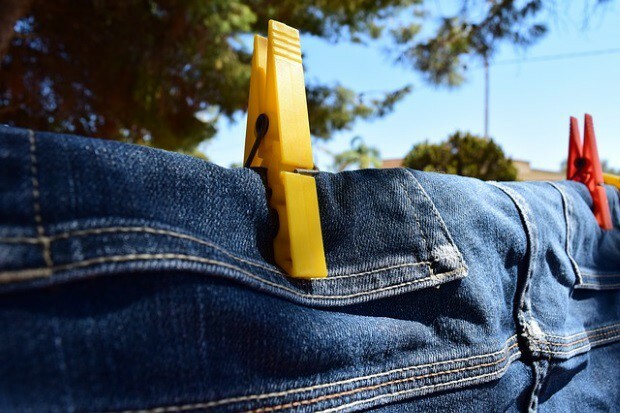 Pack a travel clothesline if you know you’ll be washing and drying a lot. 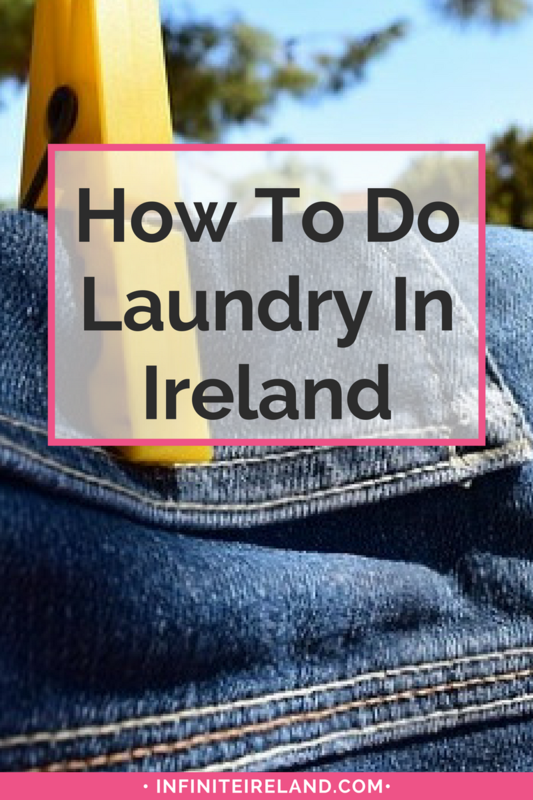 Bring or plan to purchase laundry detergent in Ireland (not every unit supplies laundry soap). Get a quick tutorial on how to run the washer and dryer when you get checked in. 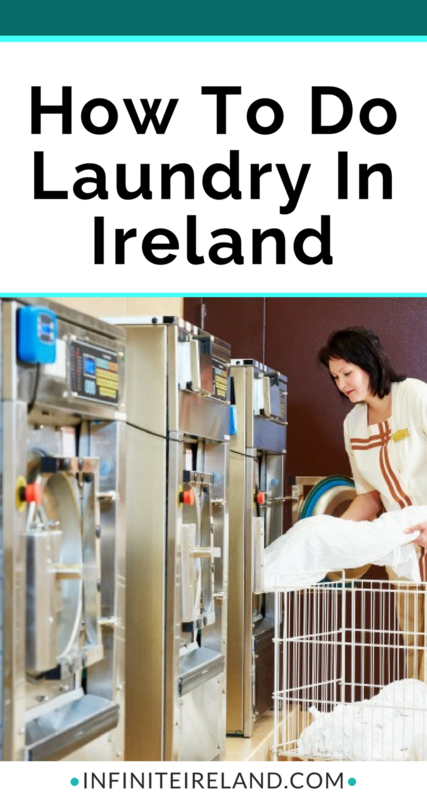 When you’re staying at a B&B, doing your own is typically not an option, but Ireland has these amazing places called a launderettes. They allow you to drop off your dirty clothes in the morning and pick them up clean, dried and (semi) folded in the afternoon. (Side note: my home town has a service like this. Why in the world have I only used this for laundry in Ireland?). There are only a few self-service laundromats in Ireland (and who really wants to wait around for their laundry to dry? ), but the larger towns usually offer at least one launderette (think Killarney, Westport or Wicklow). I typically look online in advance to find a few along my route. But here’s my favorite tip to find one: Ask your B&B host where the nearest one is. They may offer to do it for you for a small fee. They might not, but you’d be surprised how many do! Bring a long a collapsible duffle bag to stuff your dirty (and then clean) laundry into. Be careful of their very hot industrial dryers. Don’t have anything dried that is too delicate. Laundry is washed and dried by the pound so if you want to save some money, leave the heavy stuff for home. 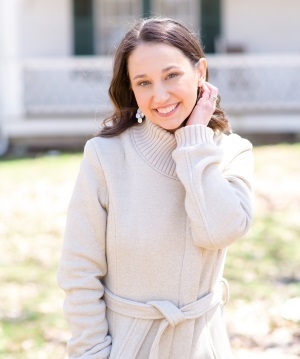 If you are staying in a hotel, ask the front desk about laundry services, you’ll likely be able to leave your dirty clothes in your room in the morning. Housekeeping will whisk them away to be magically cleaned and folded upon your return in the evening. 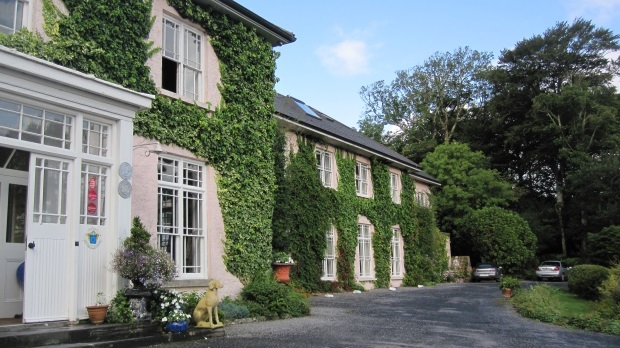 While staying at Rosleague Manor in County Galway, we left our clothes literally in a pile at the end of our bed (per their instructions—I may be stinky, but I try to be tidy!). When we came back from an afternoon of walking Diamond Hill (lovely walk by the way), our clothes were washed, dried and folded on our bed ready to be put in our suitcases for the remainder of our trip. Rosleague Manor where they wash your clothes like mama would have done. Find out the cost of the hotel laundry service, before giving them your entire suitcase. It will be much more expensive than a launderette (but handy!). Unscented laundry detergent is very difficult to find in Ireland. I take some unscented detergent “pods” with me because I hate the smell of most detergents available in the stores. Good topic and info. We are getting ready for our fifth trip soon and previously our trips have been 23-31 days. We have never taken more than a weeks worth of clothes. We take a portable clothes line for fast dry items which can be washed at the b&b–socks, undies etc. The rest we always take to a local launderette–drop off AM, pick up PM–and your day is free to explore. We always ask at the B&B for launderette recommendations and have never had a problem finding one. Fewer clothes=smaller luggage bags required.